See who dressed like the star! The SM Mall of Asia Arena was filled to the brim last night as Britney Spears stepped on stage the first time in Manila. The American pop star performed her biggest hits that immensely thrilled the fans, some of which dressed like Britney. 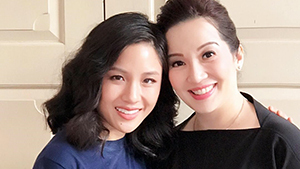 The celebrities were in attendance, of course, belting out the songs and reveling in the high-energy concert as seen on their Instagram stories.